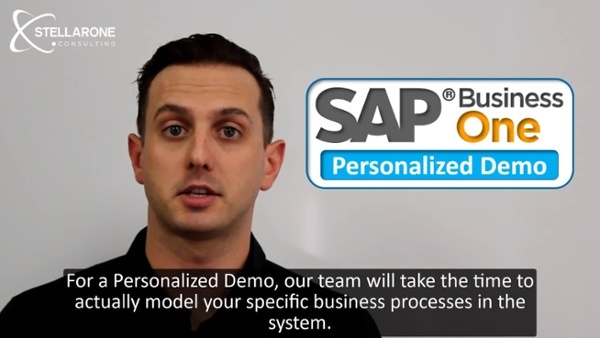 Get Your SAP Business One Personalized Demo Scheduled Today! Do you want to know if SAP Business One is the right system for your company FOR FREE? Then you're definitely in the right place. This is not an offer for a general SAP Business One demo, those are all over the internet but you won't find them here. We offer Personalized Demos for SAP Business One, where we actually model your specific processes in the system so that you can see how the software would work for you, for your team, to solve your specific business challenges. Fill out the form on this page. Someone from our team will reach out to discuss the responses you provide, and talk more in-depth about your company's current situation. We'll gather your requirements and configure the system to demonstrate how the software can do what your company actually needs it to. Seeing is believing. Show-up to the demo with your team, come prepared to ask questions and thoroughly vet the software and our team. All of this is done for free! It's our mission to make the implementation of SAP Business One a huge success for your company, and this is the first step we take towards making that happen. Please feel free to share this with someone on your team.